Fontea is a plugin for Adobe Photoshop that’s designed to bring the extensive font library from Google Fonts right into the app, so that you can easily preview and use any of the ~700 fonts available there in your work. The plugin has been crafted by Source, the team behind other popular plugins such as Subtle Patterns, CSS Hat, Picjumbo, as well has many others. 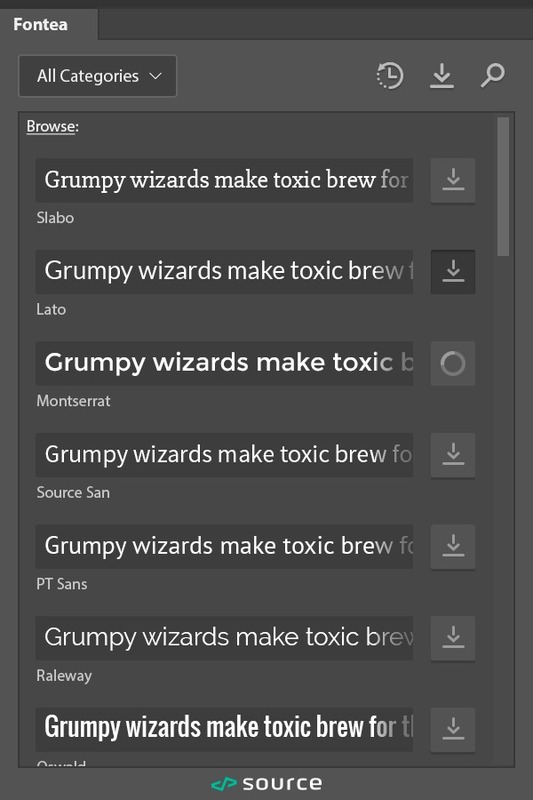 Once installed, Fontea makes all the fonts from the Google Fonts library readily available in your Photoshop installation. You can even search for the fonts by name or browse categories if needed. Here’s what it looks like. Unlike their popular plugins, Fontea is available absolutely Free to anyone and works on Windows and Mac versions of Adobe Photoshop. If you have Photoshop installed on your computer, you should definitely give Fontea a try.